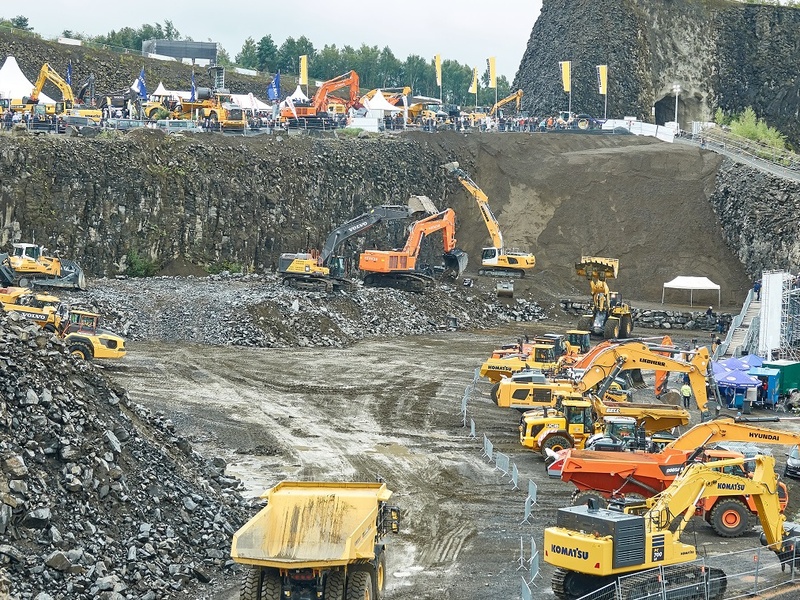 The practical, impressive live demonstrations of machinery and equipment, industry-specific solutions and innovations make steinexpo a “must-do" in your commercial sector. Do you want to demonstrate the loads that your large equipment can handle? Then our live arena on demo area A is just the place for you to be! The stadium atmosphere of more than 5,000 m² provides the ideal opportunity to demonstrate the performance of your transport machinery and material handlers. While the trade visitors can track every movement of the large equipment with an optimal view from a spectators’ stand, the giants can demonstrate their power and capabilities in real use. 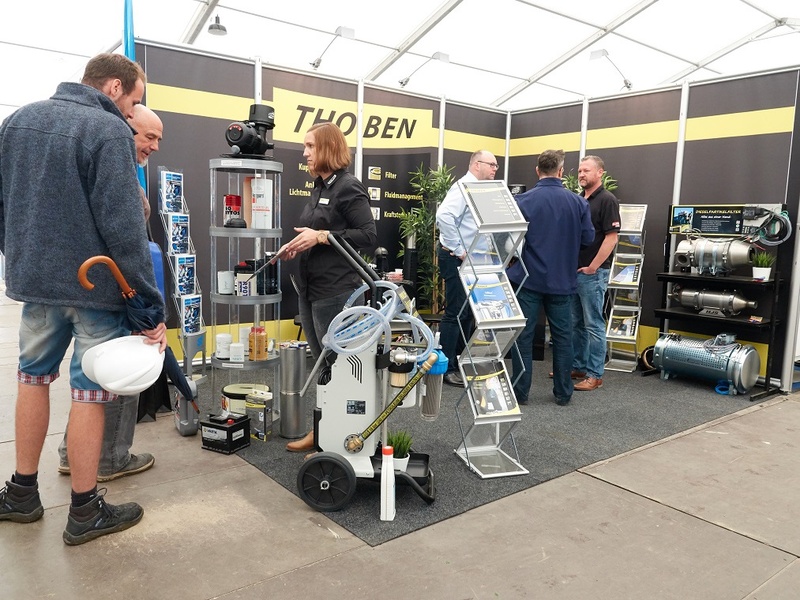 The demonstrations, which take place several times a day, are rounded off by a technically advanced presentation in a discussion with a contact person of your company. This allows the performance characteristics of your exhibits to be presented professionally and convincingly. Do you want to demonstrate the performance and capacity of your exhibits? This is the only place where you can do it: Set your machines in action on your own stand area to show what makes them a must-have piece of equipment. 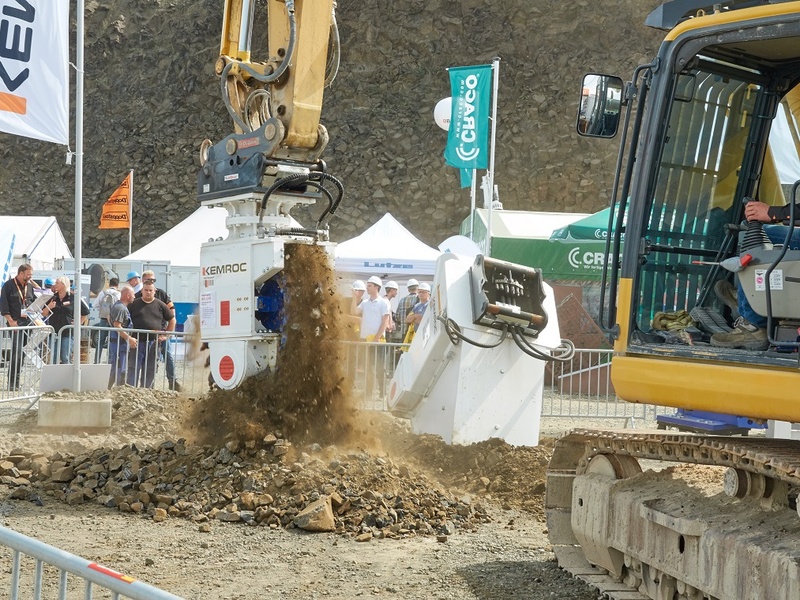 Your machines can impressively show what they are capable of when handling sharp-edged and extremely hard basalt! Would you like to present the full extent and quality of your solutions? Then use your own outdoor area for the stationary exhibit of your machines and plants. Give your customers a 360 tour of all the details and features of your products and equipment right there on the exhibit! Would like to present your company in a classical indoor environment? No problem: Our modern large pavilions set the perfect stage on around 2,500 m² for companies from the service sector as well as other fields of expertise – naturally, perfectly networked. The clever positioning of the stands and the variably opening side walls of these "exhibition halls" perfectly integrate the indoor exhibition areas in the active and pulsating trade fair activities, and you are always in perfect contact with our trade visitors – no matter what the weather.